You are here: Home / Budgeting / Creating a Gift Closet! When it comes to creating a gift closet, it doesn’t really have to be a closet! It can be a box, one of those under the bed storage bags, or it could actually be a closet. You want to definitely be organized. If you have a large family or a lot of people to shop for, you will notice that gift giving takes a nice chunk out of your monthly budget if you didn’t plan well for them! Here are a few awesome pointers that you will want to use when getting your gift closet started and/or organized! 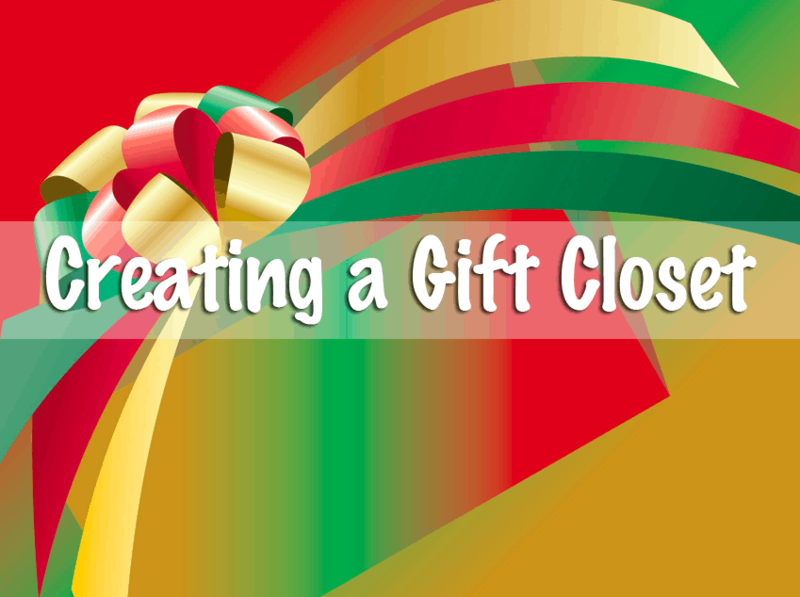 Choose a location for your gifts where the kids can’t find your secret stash! You know they will want everything that will be in there if you don’t! First determine who you need to buy gifts for! You can put down kids, family members, and friends’s names. You should include those other people who you might have to shop for like the following: Work place Secret Santa’s, you children’s friends birthday parties, new babies, wedding and invites, teachers, angel tree/donations, stocking stuffers etc. Create a LIST to keep inventory! 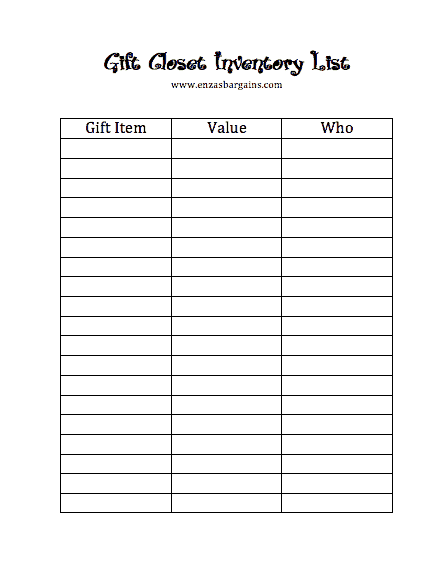 Start by writing out the list of gifts in your closet. Then next to it write down WHO the gift could be for. Then write down the value of the gift and then how much you paid. This will be great information when you want to know how much you saved and/or to determine if you are finished shopping or not when you go to give a gift! Begin to purchase items when you see items at a discount. I am thinking items that are about 75% off OR timeless items that are about 50% off!